As thousands of Central Americans travel north in caravans toward the U.S. border, several of the travelers explained that they’re having trouble getting a job in their home country or that they want a better one. For that reason, they’re willing to go to great lengths to apply for asylum in the United States. 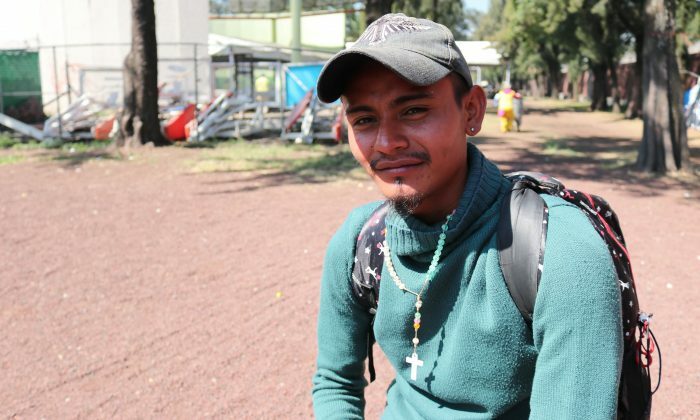 “People come with the hope of breaking the wall [at the border], and they are going to break it, through faith in God,” said Moises Esu Vidal Sanchez, 24. He worked as a taxi driver in the Honduran capital of San Pedro Sula, but embarked on the journey to escape personal issues. “My mother passed away and there is nothing there for me now,” he said. Traveling with a group of five male friends, he said he was willing to settle in Mexico. That doesn’t mean, however, he agrees with the United States limiting immigration. “He [President Donald Trump] has to open the border, so all the world can pass,” Sanchez said. Eldin Moises Ramirez, 45, who came from Santa Bárbara state in Honduras, where he was unemployed, left behind a 21-year-old son and two daughters, aged 18 and 11. He wasn’t quite satisfied with the option of staying in Mexico. Gaining asylum in the United States requires a credible claim of persecution or at least credible fear of persecution, based on race, religion, nationality, political opinion, and/or membership in a particular social group. Central American migrants commonly apply for asylum but about 80 percent have their claims denied. 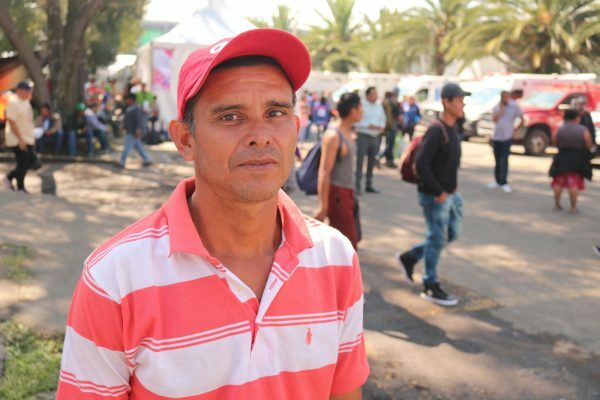 Alfonso Mejia, 43, came from Costa Rica and joined the caravan in Huixtla, Mexico. It wasn’t clear on what grounds Mejia could claim asylum, but he still expressed a wish to do so. Trump said the United States needs immigrants coming in, but that they have to go through the proper legal process.